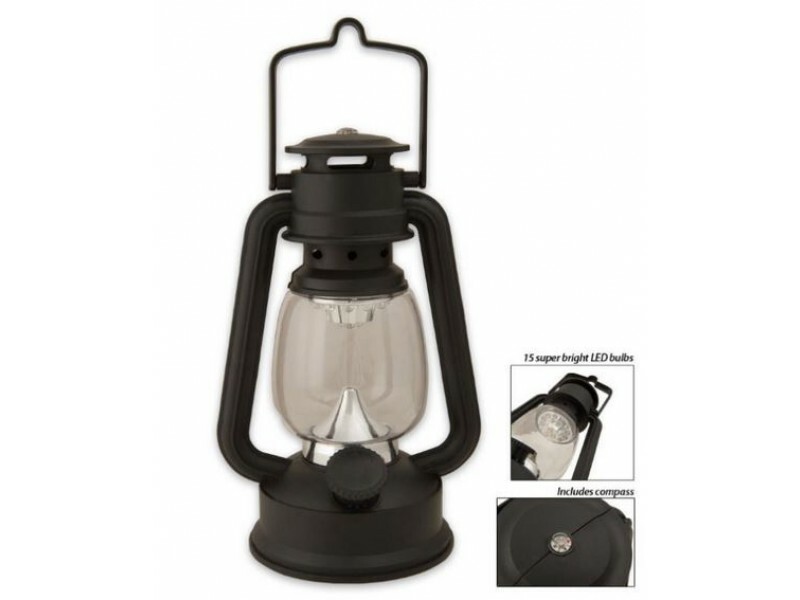 The 15-LED hurricane lantern is perfect for camping or natural disasters. Easy to hold handle for hanging or walking in the dark. Battery operated so no worrying about spilled oil. It produces 15 super-bright white LED bulbs with a brightness of 15,000 MCD. 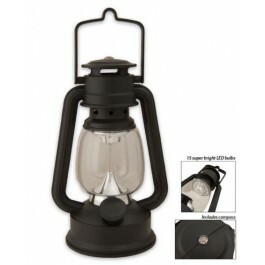 The lantern is constructed with impact resistant ABS. Too bright? 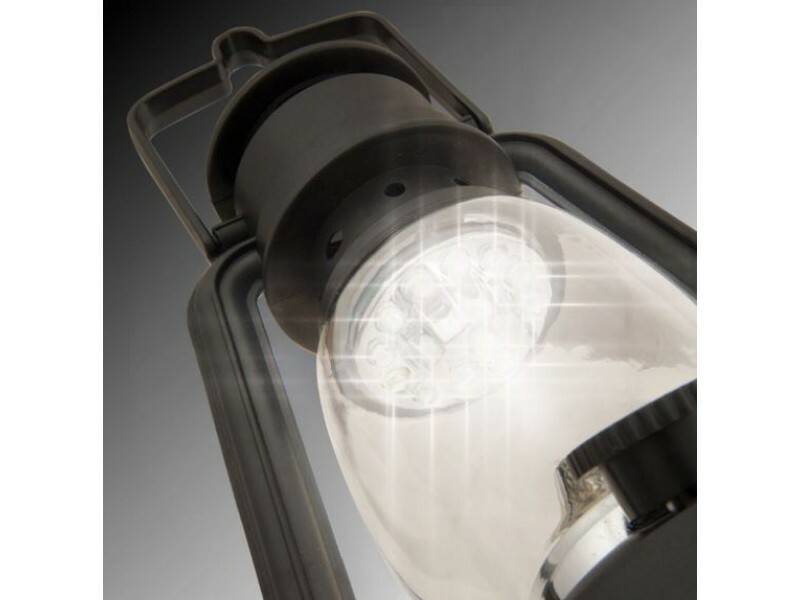 No worry, the 15-LED Hurricane/Emergency Lantern has a dimmer switch to adjust brightness and save battery life. A 3/8" compass is attached to the compass lid.